Want more water than our 600ml provides? 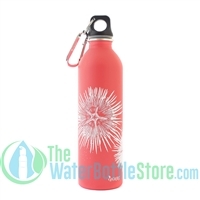 Our 1 Liter (32oz) Seriously Safe Stainless™ Steel Water Bottle is an ideal option for you really thirsty types! Comes with an easy to use, one-hand open Flip N' Sip BpA-free cap. Comes in 3 solid colors.